Georges Bizet’s Opéra Comique premiered in Paris in 1875 and is presented in Chania on 2nd February, directed by Sir Richard Eyre. Clémentine Margaine, an internationally acclaimed French mesoist, is the irresistible planner of the project, next to Roberto Alagna who greeted the audience in the role of Don Jose in 2010. Louis Langrée directs Met’s beloved production to Sir Richard Eyre’s fantastic director. 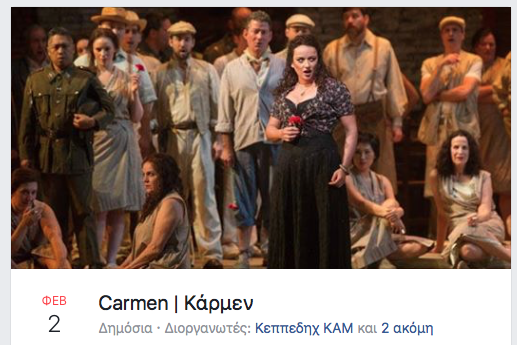 The Carmen Opera has traveled all over the world, translated almost in all European languages, but also in other languages ​​such as Japanese and Chinese and is considered by many to be the most successful opera in the history of music.